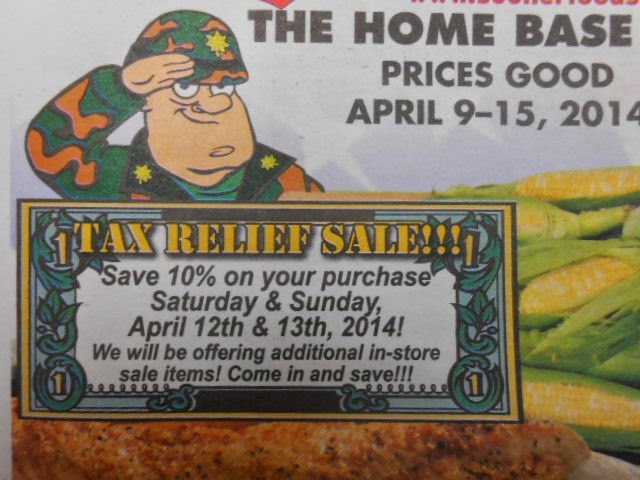 Fruit And Veggies: Tax Relief Sales!!! All of us like saving a flat 10% right? This Saturday and Sunday you can save 10% on everything you buy at Sooner Foods. It's our tax relief sale and we'll also be offering additional savings on in-store sale items.